Never Cry Wolf (film) A young biologist, Tyler, is sent by the Canadian government into the Arctic wilderness to study the wolves, which have been accused of killing off the caribou herds. He suffers hardships in the wilds, but gains a respect for the wolves. He adopts some of their lifestyle and discovers that hunters and not the wolves are the main enemy of the caribou. Premiere in Toronto on October 6, 1983; general release on October 7, 1983. Directed by Carroll Ballard. 105 min. Stars Charles Martin Smith (Tyler), Brian Dennehy (Rosie), Zachary Ittimangnaq (Ootek), Samson Jorah (Mike), Hugh Webster (Drunk), Martha Ittimangnaq (Woman). The film is based on the best-selling book by Farley Mowat, published in 1963 and since translated into more than 20 languages. Executive producer Ron Miller had sought the rights to the book for 10 years. The movie was shot in the awesome wilderness of Canada’s Yukon Territory and in Nome, Alaska, and was more than two years in production. 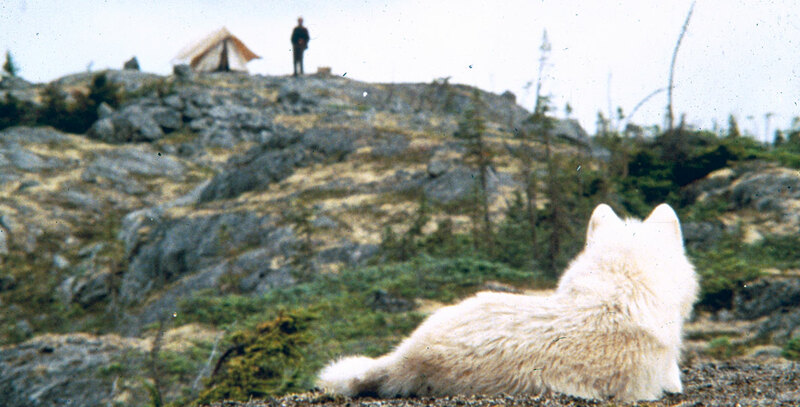 Alan Splet, an Oscar-winning sound effects editor fashioned a uniquely aural experience for the Arctic wilderness. Released on video in 1984 and 1993.